New inter-model transport hubs are places where passengers can wait in comfort for transport connections. Hubs incorporate services such as toilets, ticket machines, newsagents, cafés, cash points and small shops. Passengers can cycle, walk, drive or get feeder buses or taxis to hubs. Frequent transport services from the hubs reduce interchange waiting times and the inconvenience of transfers between modes. 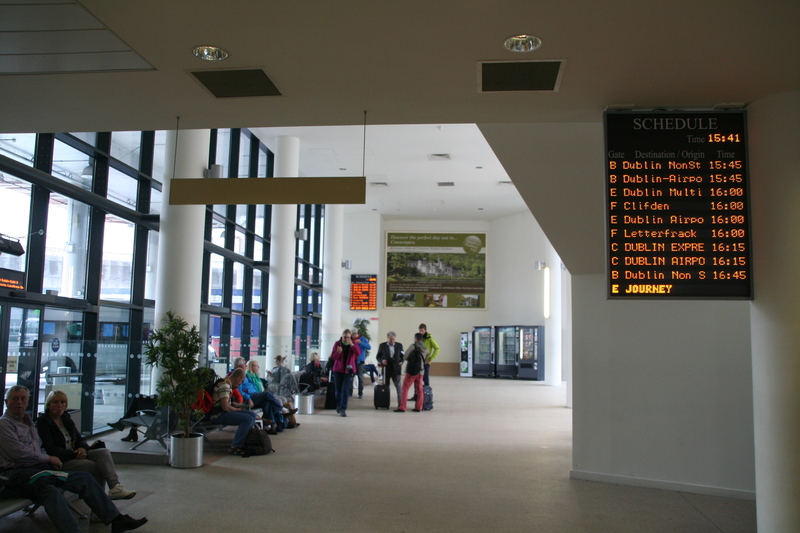 Ceannt Station in Galway city centre and the Coach Station on Fairgreen Road are two local examples. New transport hubs could be established around the city in areas such as Knocknacarra (in a new district centre), the new suburb at Ardaun (within walking distance of new housing) and Oranmore Train Station. Tram stations of a future light rail system in Galway could act as hubs also. Bicycle parking facilities and Galway Bike Scheme docking stations could be installed outside hubs to encourage cycling.